What is Laminated Glass ? 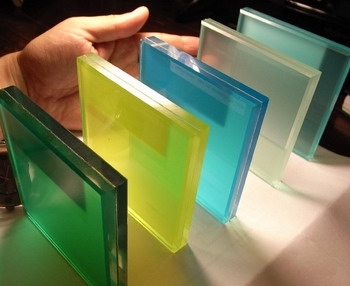 typically of polyvinyl butyral (PVB) or Ethylene Vinyl Acetate(EVA), between its two or more layers of glass. The interlayer keeps the layers of glass bonded even when broken, and its high strength prevents the glass from breaking up into large sharp pieces. 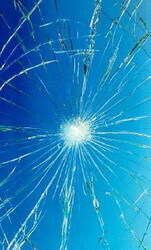 This produces a characteristic "spider web" cracking pattern when the impact is not enough to completely pierce the glass.